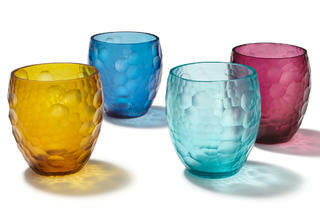 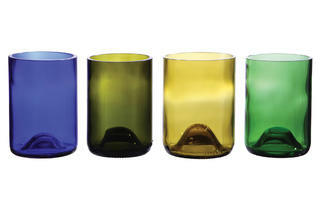 These decorative drinking glasses in our latest trend watch will make any home bar more stylish. 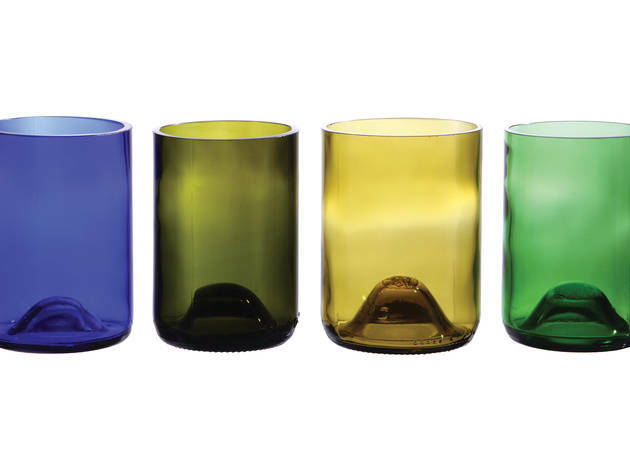 We know better than to mix alcohol with medication, but these cheeky tumblers are one safe exception. 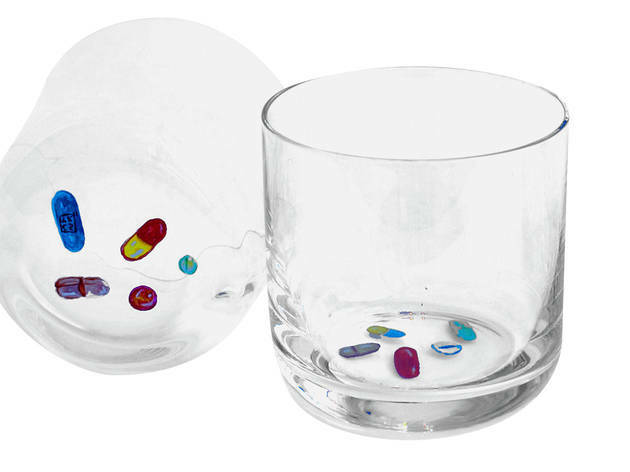 Married New York artists Theo A. Rosenblum and Chelsea Seltzer hand-paint pills in acrylic onto the base of each glass, giving fellow revelers a surprise every time you go bottoms up. 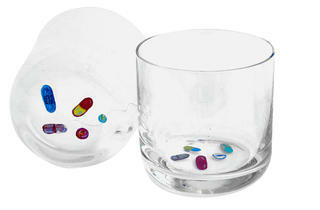 Seltzer &amp; Rosenblum hand-painted Pills glasses, $63 each (normally $70), at artwareeditions.com. 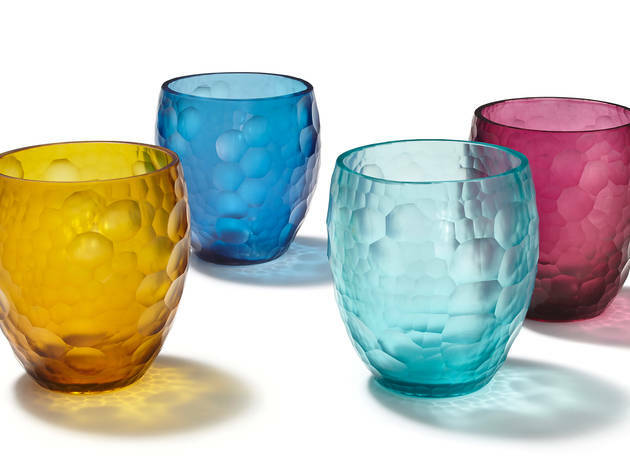 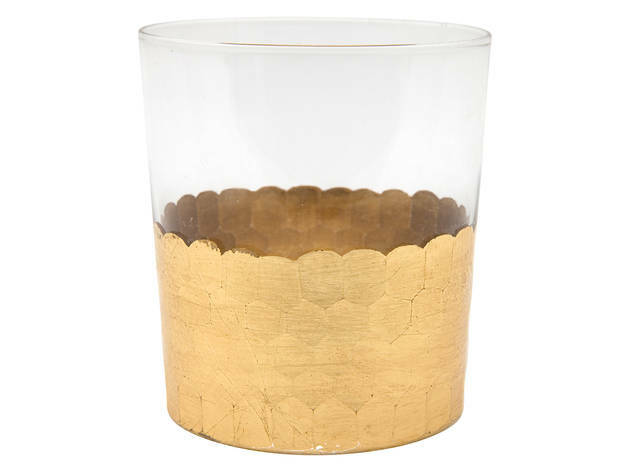 For those nights when you’d rather host friends for drinks at home instead of hitting Los Angeles’ bars and clubs, these stylish tumblers will add pizzazz to your cocktail party. 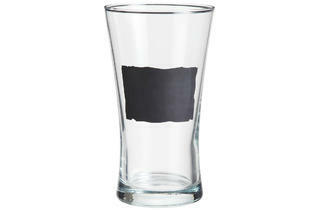 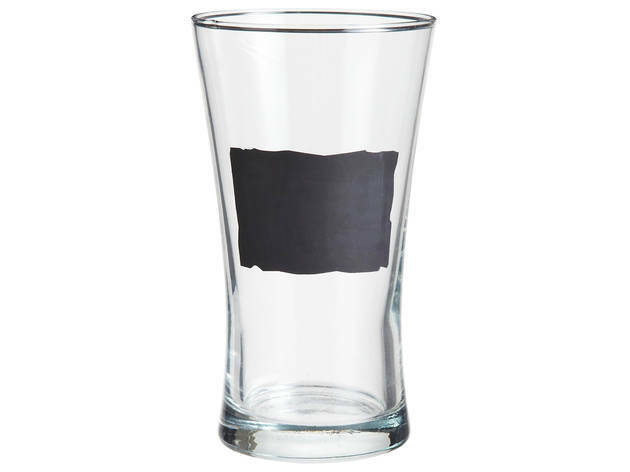 We found hand-painted glasses at Artware Editions and chalkboard styles from Pier 1 Imports. 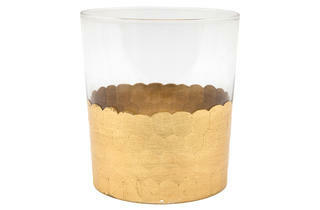 Just don’t forget to put down some cool coasters on your table beforehand.